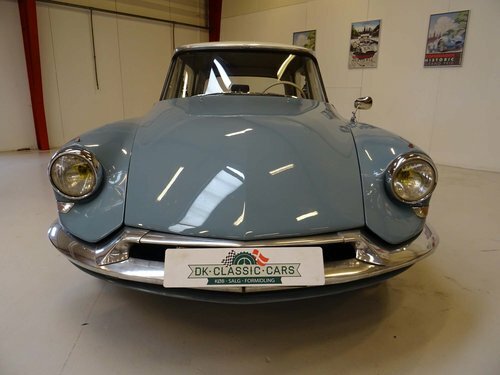 This great looking all-original Citroën DS is in very good cosmetic and mechanical condition and only 59,296 km on the odometer. 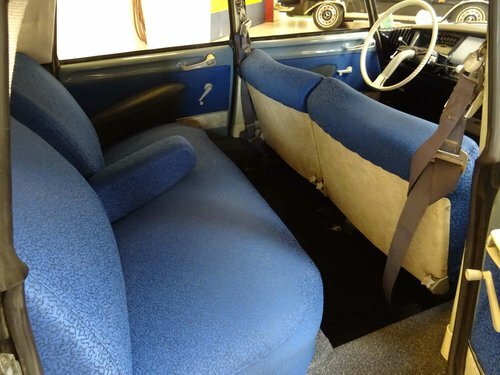 The has the desirable blue color Bleu Nuage with Helanca Interior. There has never been welded in the car and the original owner's manual, as well as the original front turn indicator lights are included in the sale. The original bottle with motor oil from 1959 is still with the car, a testament to the originality of the car. 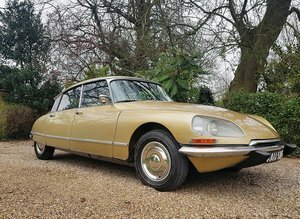 This car is in exceptional condition and belongs on a museum or with a classic car collector as it is destined to increase in value and represent the finest example. 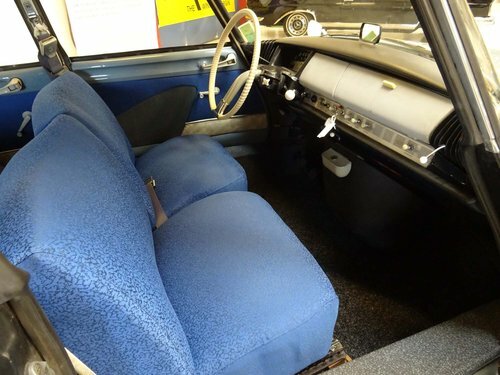 The car has a Danish title and registration dating back to 1959 and is ready to be enjoyed as is or many years to come. After 18 years of secret development as the successor to the Traction Avant, the DS 19 was introduced on 5 October 1955 at the Paris Motor Show. In the first 15 minutes of the show, 743 orders were taken, and orders for the first day totalled 12,000. 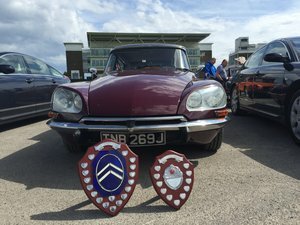 During the 10 days of the show, the DS took in 80,000 deposits; a record that stood for over 60 years, until it was eclipsed by the Tesla Model 3 which received 180,000 first day deposits in March 2016. 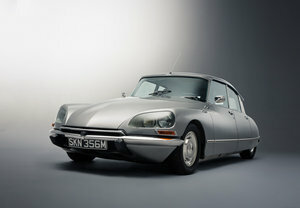 The DS always maintained its size and shape, with easily removable, unstressed body panels, but certain design changes did occur. During the 20-year production life improvements were made on an ongoing basis. 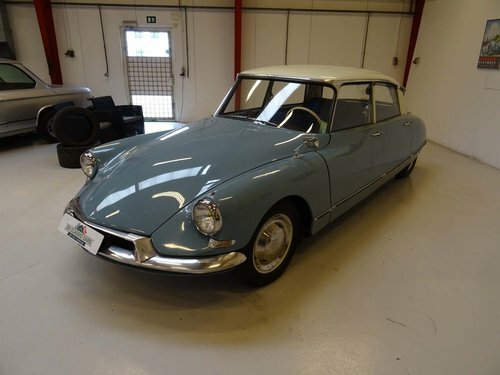 The 1955 DS19 was 65% more expensive than the car it replaced, the Citroën Traction Avant. 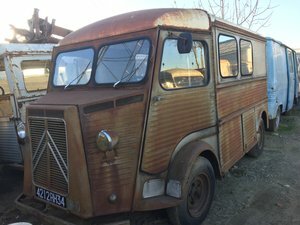 This affected potential sales in a country still recovering economically from World War II, so a cheaper submodel, the Citroën ID, was introduced in 1957. The ID shared the DS's body but was less powerful and luxurious. 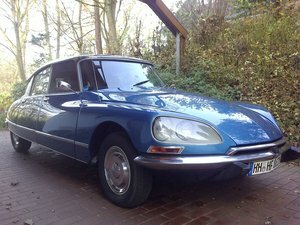 Although it shared the engine capacity of the DS engine (at this stage 1,911 cc), the ID provided a maximum power output of only 69 hp compared to the 75 hp claimed for the DS19. 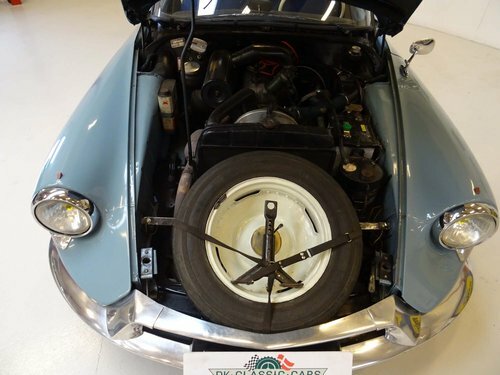 Power outputs were further differentiated in 1961 when the DS19 acquired a Weber-32 twin bodied carburettor, and the increasing availability of higher octane fuel enabled the manufacturer to increase the compression ratio from 7.5:1 to 8.5:1. A new DS19 now came with a promised 83 hp of power. The ID19 was also more traditional mechanically: it had no power steering and had conventional transmission and clutch instead of the DS's hydraulically controlled set-up. 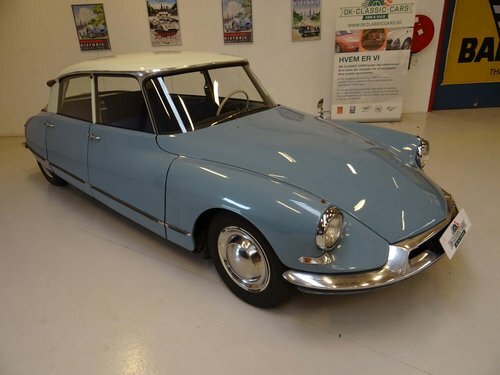 Initially, the basic ID19 was sold on the French market with a price saving of more than 25% against the DS, although the differential was reduced at the end of 1961 when the manufacturer quietly withdrew the entry-level ID19 "Normale" from sale. A station wagon variant, the ID Break, was introduced in 1958.